Using a full data Micro-USB cable, connect your DualShock 4 Controller to PORT 4 on the USB Hub. Connect your Wired Controller of choice into PORT 1 on the USB Hub. If it's an Xbox One Controller use a full data Micro-USB Cable. Some USB Hubs prefer the Cross Over controller to be on Port 3, just make sure that when you power cycle the console that the CronusMAX PLUS completely shuts down (No LED) and doesn't sit in standby mode (Spinning Animation LED), otherwise on reboot the authorization won't work correctly. Note: To correctly shut down the console, usb hub and CronusMAX PLUS, power cycles must be done from the console, not the controller. 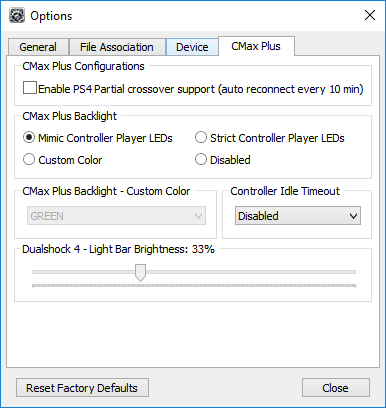 Connect the CronusMAX PLUS into one of your PlayStation 4 USB ports via it's Output Port. If you get this error code you have not updated to the latest firmware (at least v1.21). You must do that before you proceed. After a couple of seconds the display on the CronusMAX LED will go from the Authentication 'AU' Animation to 0 (or a number if slot recall is enabled and a script was previously loaded) - indicating that the controllers are authorized and you're ready to play. At this point you can use your controller through the CronusMAX PLUS and also load any scripts or GamePacks. It's that simple! 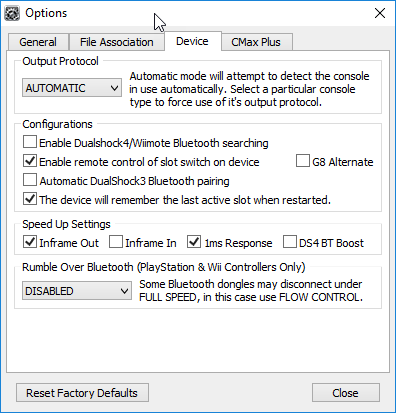 If you have a non DualShock 4 controller, don't forget to use the PS4 Crossover Essentials GamePack to make sure all non DS4 functions are mapped correctly such as Touchpad and Share Screen. If you have an Xbox Elite Controller, click here for a special version of the Crossover GamePack. The Authentication controller will be disabled. It will not vibrate and none of it's controls will interefere with your Crossover experience. It can safely be left sitting idle on a surface as if it was turned off. If the LED on the CronusMAX PLUS does not change from AU to a number then the authorization controller is not authenticating. 99% of the time this means either you didn't set the Output Protocol to AUTOMATIC in Step 1 of the instructions, or the Micro-USB cable to the controller is faulty or simply not compatible, you should try another one. Another issue that sometimes comes up is that the controller USB port has a loose data pin. It will charge fine, but won't transmit data. Also make sure the controller is powered on of course - that's a rookie mistake. 1. 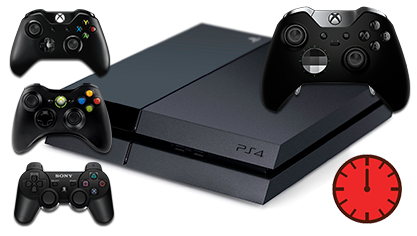 Make sure you unpair the Authorization controller from the console correctly (in this case that will be a DualShock 4 controller as you are using a PS4 console). Click here for detailed instructions. 2. The USB cable could be losing its connection between the authorization (DS4) or gaming controller and the USB Hub. This can be caused by a poor quality USB cable, the USB socket on the controller itself is loose, any USB extension cable you may be using is poor quality or too long or the USB Hub is not setup correctly (wrong ports, not compatible etc). Check all connections and replace any parts if necessary. 3. You powered on the console with the controller. Don't do that as the console will sync with the controller and the security ID will pass to the console and not the CronusMAX PLUS. Always power on the console with the consoles power button. 4. Go to Step 1 in this guide and make sure 'Inframe In' is disabled and also try disabling the '1ms Response' and 'Inframe Out' options too. This sometimes solves any disconnecting problems.